France has top car museums, including the Schlumpf Collection, which is the largest car museum open to the public in the world. Most are private collections, the result of years of scouring the world for the best examples from the early pioneers like Panhards, De Dions and Benzs to today's Formula 1 beasts. The Cité de l’Automobile, National Museum – Schlumpf Collection in Mulhouse in Alsace is the top must-see for car enthusiasts. Originally the private collection of the Schlumpf brothers who made a fortune in the textile industry, it became the National Museum in 1982. It’s arranged chronologically and is spread over the vast site of the former textile factory. 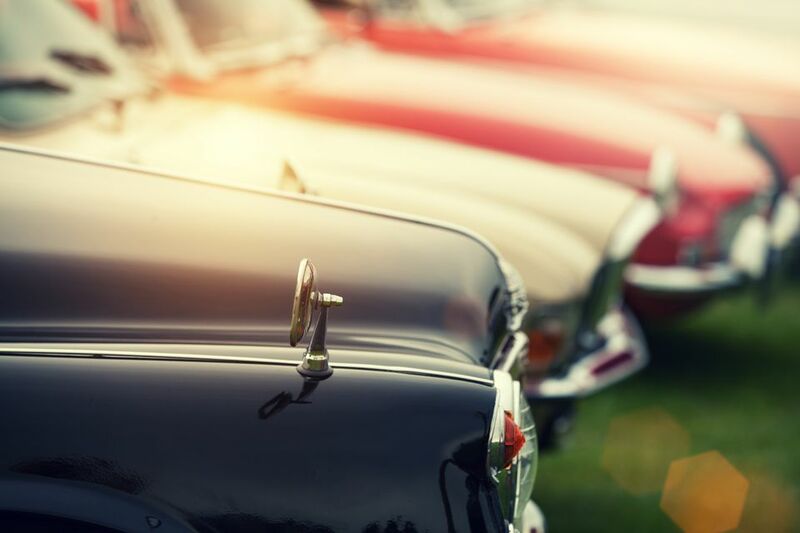 The collections take you through the story of the motor car from 1878 to today. Gleaming De Dions, Panhards, Benzs and Rolls Royce mark the beginning of the story; Formula 1 cars are heavily represented and the story continues on through to the present day lighter, fuel-efficient cars for the mass market. It also has the largest collection of Bugattis (the Schlumpf brothers’ favorite car). There’s a Discovery area where you can delve into the inner workings, and manufacture, of motor cars, a superb mascot collection and 101 toy cars. There’s an outside Autodrome for demonstrations, good restaurants and a very well-stocked shop. You may not be able to tear the car enthusiasts away. The show “On track! 18 emblematic cars tell their story” is performed every weekend and on bank holidays July to September. 18 cars tell the story from 1870 to today. See their website for hours and admission rates. More than 400 cars, including the largest collection of Renault Dauphines and Formula 1 cars outside Donnington in the UK, make up this museum in Brittany. It was started around 2002 by Michel Hommell who had been collecting cars since he was 18 years old. There are 30 dioramas, over 3000 model cars, an open-air circuit and a Formula 1 grid, films to watch and a guinguette from the 1930s (open-air café originally for dancing) and a shop. Every year in October there’s an autobrocante, or sale of cars, car parts, photos, books and more as well as demonstrations. With over 2030 vehicles, many of them put on permanent display here by the private owners, the collection is a real mix. 160 cars, 70 old bicycles, 100 pedal cars and thousands of miniature cars make this a family attraction. The time range is from 1908 to today with models like the Scar Torpedo of 1908, an Alba Bobby of 1919, a Porsche 356 from 1962, a Simca Versailles of 1955 as well as Delahayes, Panhards and the ubiquitous Ford. Motorbikes run from famous French models to Vespas and Lambrettas. Over 5000 miniatures take in international names like Citroen, Corgi, Marklin from Germany, and Politoys from Italy, ranging from 1920 to 1980. And pedal cars from Domercq to Triang were the first inspiration of many of today’s collectors. It began with a private collection and is now run by a body of enthusiasts. See their website for hours and rates. Opened in 1976, the museum was the inspiration of Gaston Giron, an apprentice mechanic during World War I who went on to found a successful business as a Citroen specialist trader. The museum is today run by his son and the family who continue to buy and restore old cars. The collection consists of 150 vehicles from Delahayes to Chevrolets, Citroens to Boras and they also have various classic cars for sale. Location: The Museum is just outside Les Sables d'Olonne. In 1982 Pierre Peugeot decided to set up a museum which included all the products made by Peugeot since 1810 when the company started, from saw blades to corsets, coffee grinders to sewing machines. But the company really began to make its mark from 1891 to 1901 when the first cars rolled out of the doors and that is what this museum is really about. On display are treasures like the 1891 Vis-à-Vis, the first gasoline engine car, the Baby Peugeot, little cars like the Quadrilette 161 followed by the illustrious Landaulet 184 of the 1920s. It takes you up through the production of the cabriolets like the 401, 601 and 402 to the 205. Commercial vehicles are on display alongside bicycles and motorcycles, again running through the ages from the 1882 Grand Bi to the 1987 ST Scooter. There’s a special section devoted to motorsport, particularly Le Mans where Peugeot has been so successful. You can also reserve in advance for a guided tour of the PSA Peugeot-Citroen factory here, one of the most modern in Europe. The visit lasts 2 hours and can be booked in English. From the A36 motorway take the Sochaux exit, between Besançon and Mulhouse. The nearest railway station is in Montbéliard, 3.5km from the museum. The Belfort-Montbéliard TGV railway station is 13km away. The Salon Rétromobile at the Parc des Expositions in Paris takes place each February. It’s a huge show, now over 40 years old with top exhibitions, which in 2014 included tributes to British drivers Thomas Parry and Malcolm Campbell, an exhibition on the Paris-Dakar race; and Les Voitures des Maharadjas (Cars of the Maharajas), 15 superb cars shown for the first time in Europe. The event takes place in 2019 from February 6th ​to 10th. There are over 400 exhibitors, 500 cars on show, and booths selling everything for the enthusiast.